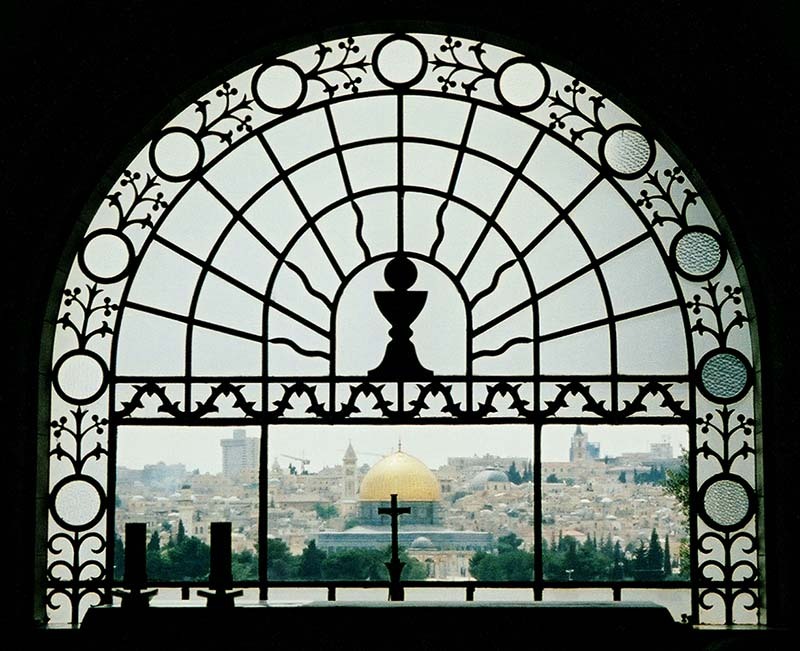 The window in the photo below, which overlooks Jerusalem, forms the front wall of Dominus Flevit (Jesus Wept) Church. As he traveled down the Mount of Olives, Jesus saw Jerusalem from this place and longed to give His peace to all those in His beloved city. Have you ever cried because someone you knew rejected a gift from God? If so, you know how Jesus felt. Have you ever rejected anything God wanted to give you? Jesus cries for you, too. Do you have any turmoil or stress within you? Jesus longs to give you His peace. But if you continually reject what He is offering you, what you seek will remain hidden from your eyes, and you will lead yourself right into the disaster you are so desperately trying to avoid. Lord Jesus! I truly do want the peace that only You can give me! Help me to let go of the desire to handle things my way. Help me to trust in You instead of my own ideas of how my problems should be solved. Amen! 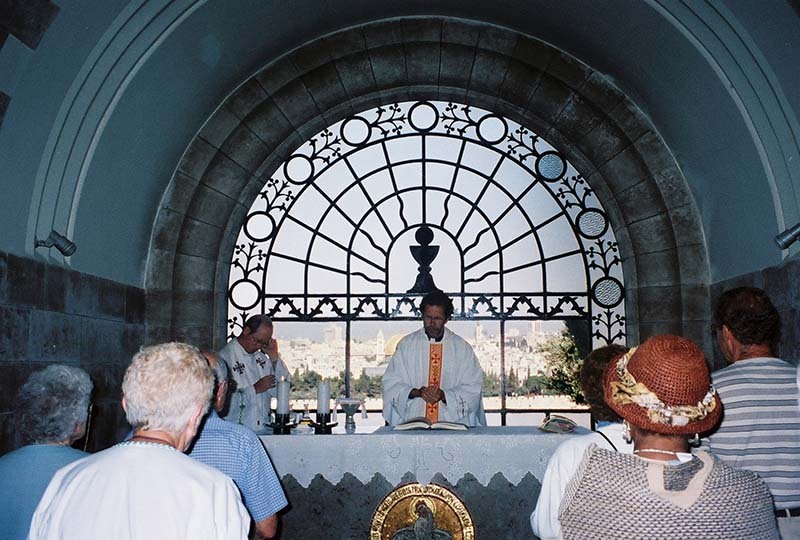 Now “step outside” and see the view from where Jesus once stood.